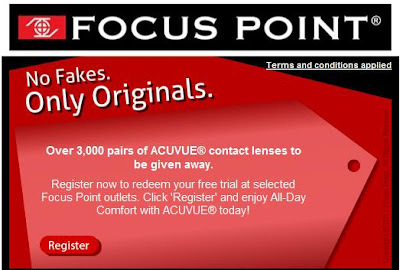 Over 3,000 pairs of ACUVUE® contact lenses to be given away. Register now to redeem your free trial at selected Focus Point outlets. Click 'Register' and enjoy All-Day Comfort with ACUVUE® today!